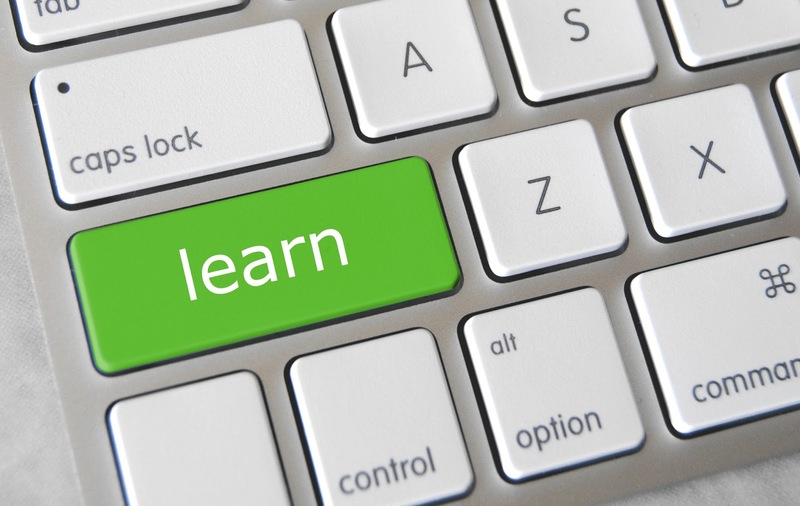 How Do You Learn in the Digital Age? In lieu of Digital Learning Day 2016, I thought I would ask a very simple question, "How do you learn in the digital age?" Even though this is a simple question, the answer can be very complex. The reason is because there are so many resources, learning styles, and strategies that can be used today to gain and share information. What am I doing to stay informed of the latest research in education? What am I doing to keep updated with transformative technology tools and resources? What am I doing to ensure that I am implementing best practices in my classroom? While taking graduate courses is a great way to answer these questions, it can become very expensive and time consuming. Therefore, I would argue that it is more cost-effective and time-sensitive to create your own Professional Learning Community (PLC). By creating a PLC, you will be able to connect, learn, and share with other passionate educators from around the world, at your convenience. Here are a few ways to start building a PLC in order to keep current in education. Did you know that you can search Twitter without having an account? If you are new to social media, this is the first place that I would start. By visiting Twitter and searching for educational hashtags, you can view or "lurk" conversations around specific topics in education, even without contributing. I would recommend searching the following hashtags: #edchat, #edtechchat, #edtech, and #education. For a more comprehensive list of other educational hashtags and Twitter chat schedules, visit Twitter Chats for Educators. If you would like to view multiple hashtags at once, I recommend using Tweetdeck for a "bird's eye view". As you begin reading these conversations, try to "follow" colleagues, educators, and organizations that you highly value. This will help you to start building a base for your PLC. And when you are ready, I encourage you to participate in these conversations. Everyone has something to contribute to a conversation. Even you! One of the biggest challenges of online learning is the fact that there are so many websites and resources that are out there. In order to learn more efficiently, we not only need to be consuming information, we need to be curating information. Rather than going out and searching for websites, why not let websites come to you? EdCamps are one of the most innovative professional development opportunities that exist today. Why, you might ask? Because, not only are they free events, but there is no schedule or agenda. Topics are organically created the morning of the event and any participant can volunteer to lead a session. EdCamps are increasingly sweeping the nation and are changing the way that we learn as professional educators. Check out some of the upcoming events and take a creative risk by signing up for one near you. In addition to these examples, there are many other creative ways to engage in a PLC. Consider using your Google+ account to follow your colleagues and join educational Communities. Consider using Diigo to bookmark, organize, and share your favorite articles and resources on the Web. And consider signing up for a Massive Open Online Course (MOOC) at https://www.edx.org/ to learn about meaningful topics with others for free. If there are other ways that you are learning in the digital age, please share by posting a comment. Happy Digital Learning Day, and happy learning! My Personal Learning Network is the most awesomest thing ever!! I don't think that engaging into social networks is a good idea for learning. It destracts attention and you always feel tempted to like friend's photo/status instead of concentration on the main idea. However, e-learning is more interesting indeed. I like for they add elements of game to apps which makes it more interesting both for children and adults https://qubit-labs.com/mobile-application-development-services/ There is even a process of app creating called gamification!